We warmly invite colleagues to come to the British Academy to celebrate the life of the eminent linguist and scholar, Professor Lord Randolph Quirk CBE (1920-2017). Randolph Quirk was born on 12 July 1920 on the Isle of Man. He studied at University College London, where he later became Quain Professor in English Language and Literature. He was Vice-Chancellor of the University of London from 1981 to 1985. Randolph Quirk became a Commander of the Order of the British Empire (CBE) in 1976 and was knighted in 1985. He was President of the British Academy from 1985 to 1989 and became a life peer as Baron Quirk of Bloomsbury on 12 July 1994. As can be seen by the tributes on this page, Randolph was well-respected and much-loved in equal measure. If you knew Randolph personally, were inspired by him, or simply would like to learn more about his impact on linguistics and the university, you are more than welcome to attend. As our public events are free, not everyone who registers for tickets attends. To make sure we have a full house we may allocate more tickets than there are seats. We do our best to get the numbers right, but unfortunately we occasionally have to disappoint people. Admission is on a first come, first served basis, so please arrive in good time for the start of the event. 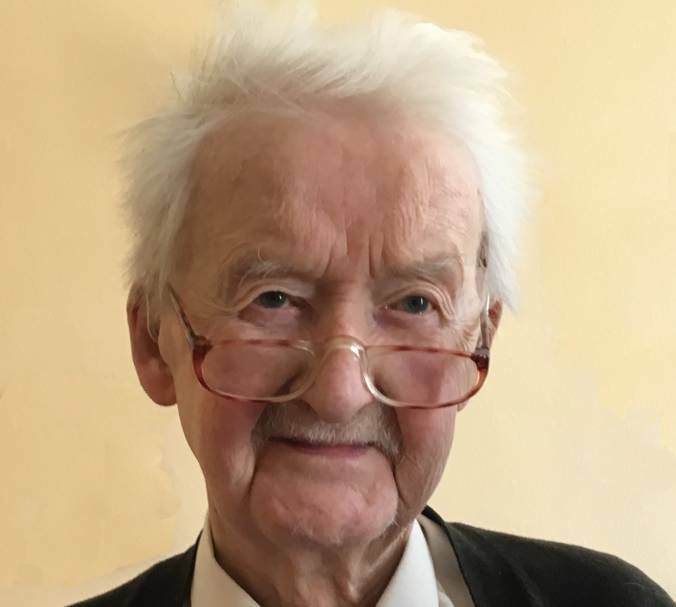 When we remember Randolph Quirk it's natural to focus on his research in English grammar, but we should also recognise his enormous impact on language education in schools. In this respect, he is similar to Henry Sweet, so I shall start by comparing the educational worlds of these two giants: for Sweet, universities were quite close to schools, but for Quirk they were separated by a gulf. To bridge the gulf he wrote books about teaching but he probably achieved more through the gigantic research-and-development project on Linguistics and English Teaching led by Michael Halliday. Unfortunately, part of the bridge-building challenge was on the HE side, where there was very little to offer to schools, and in particular, virtually no research on grammar. This weakness in our universities undermined the teaching of grammar at schools, so it was essential, as Quirk saw, to build a solid research base in grammar. Meanwhile, linguistics was growing apace under its own steam, bringing new ideas not only in theory but also in method, including corpus linguistics which he pioneered in this country. The result is that our universities now have a great deal to offer schools, and the challenge is to prepare language teaching at schools to receive it. Randolph Quirk’s immense body of work is well known to have inspired scholars of English language and linguistics, but his influence on sociolinguistics is rarely mentioned. In this talk I will discuss his 1957 paper ‘Relative pronouns in educated spoken English’. This was arguably the first ever quantitative sociolinguistic analysis and it has inspired many subsequent sociolinguistic analyses of English relative pronouns. I will briefly mention some of these in this talk, looking at how relative pronouns in educated (and less educated) spoken English have fared since 1957. I will focus particularly on the rise and fall of who, which in the new dialect of Multicultural London English has acquired a new function, that of a topic marker. It is generally assumed that in English, the subject of a finite clause cannot be omitted. Nevertheless, English displays subject omission. English systematically allows second conjunct subject ellipsis. (1) He has eaten a lot of meat and ___ has drunk a lot of wine. In specific written registers (e.g. diary writing), the subject of a finite clause may be absent. Because the distributional restrictions on subject omission in (2) do not simply follow from functional (‘recoverability’) considerations, formal analyses have postulated an ‘add on’ to the grammar to differentiate ‘core English grammar’ from the register-specific grammar. However, Wilder (1997) reveals striking parallelisms between second conjunct subject ellipsis (1) and register-specific subject omission (2). Assimilating register-specific subject omission to second conjunct subject ellipsis would entail that both can – and by economy should – be captured by the mechanism underlying second conjunct subject ellipsis, and obviates the need for an ‘add on’. Based on a comparison of register-specific subject omission and ‘core grammar’ second conjunct subject ellipsis the provisional conclusion of my presentation is that an ‘add on’ to the grammar remains motivated. A neglected idea of Quirk’s, first published in 1965, is Serial Relationship (here SR). He plotted linguistic items against properties in a matrix that was manipulated to demonstrate the gradient resemblance of neighbouring items. Quirk applied it in several areas of English grammar, largely as a descriptive device, but in at least one case to explain something that the then newly fashionable Transformational Generative Grammar couldn’t handle. Matrices of pluses and minuses have become a frequent graphic device in linguistics, though not often with explicit acknowledgement of, let alone adherence to, Quirk’s theory. SR did have some afterlife, however. David Crystal used it for plotting degrees of centrality within the word class Adjective, for instance, and in the standard grammar produced by Quirk’s team the idea is applied to gradience not just within Adjective but also between Adjective and Adverb. I used SR in a study of Old English impersonal verbs. In the light of such examples we will explore how SR as an explanatory device is a subtle kind of structured analogy, with echoes in Construction Grammar, multiple inheritance and modern approaches to gradience. On Friday 11 January 2019 two things happened. Bas Aarts sent me an email asking for a summary of my talk. I had no idea what I would write about. Then, in the post later that morning, came a gift of a book from Gabi Quirk, who had been sorting through Randolph's library, and found one she thought I would like as a keepsake. It was The Oxford Book of American Literary Anecdotes, compiled by the American poet Donald Hall. She could not possibly have anticipated the consequences of this serendipity. When I opened it, the half-title page contained a pencilled list of page numbers – references to Randolph's marginal annotations. This talk describes what I found, and discusses the literary significance of marginalia. This page last modified 24 February, 2019 by Survey Web Administrator.